Speaking of fruits, plant berry-producing shrubs like this arrowwood viburnum (Viburnum dentatum, zones 2 to 8) or others, like dogwood, serviceberry, chokecherry and elderberry. These plants are bird magnets, and since songbird populations are on the decline nationally due to pesticide use and habitat loss, even one new shrub can make a world of difference. 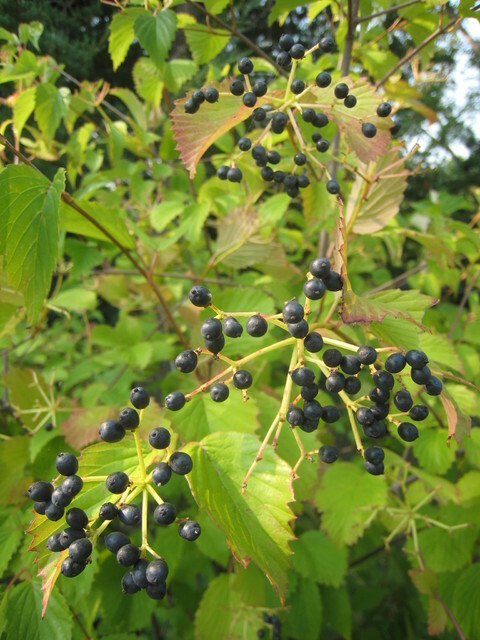 plant berry-producing shrubs like this arrowwood viburnum (Viburnum dentatum, zones 2 to 8) or others, like dogwood, serviceberry, chokecherry and elderberry. These plants are bird magnets, and since songbird populations are on the decline nationally due to pesticide use and habitat loss, even one new shrub can make a world of difference. Plant berry producers. Bringing in winged creatures can give you much satisfaction, because you can see the fruits of your labor paying off — especially if you garden organically. Speaking of fruits, plant berry-producing shrubs like this arrowwood viburnum (Viburnum dentatum, zones 2 to 8) or others, like dogwood, serviceberry, chokecherry and elderberry. These plants are bird magnets, and since songbird populations are on the decline nationally due to pesticide use and habitat loss, even one new shrub can make a world of difference. Berry plants for birds Feed the Birds 5. Plant berry producers. Bringing in winged creatures can give you much satisfaction, because you can see the fruits of your labor paying off — especially if you garden organically. Speaking of fruits, plant berry-producing shrubs like this arrowwood viburnum (Viburnum dentatum, zones 2 to 8) or others, like dogwood, serviceberry, chokecherry and elderberry. These plants are bird magnets, and since songbird populations are on the decline nationally due to pesticide use and habitat loss, even one new shrub can make a world of difference. Feed the Birds: Plant berry producers. Bringing in winged creatures can give you much satisfaction, because you can see the fruits of your labor paying off — especially if you garden organically. Speaking of fruits, plant berry-producing shrubs like this arrowwood viburnum (Viburnum dentatum, zones 2 to 8) or others, like dogwood, serviceberry, chokecherry and elderberry. These plants are bird magnets, and since songbird populations are on the decline nationally due to pesticide use and habitat loss. It reminds me of the lower growing tree/shrubs that I need to utilize into the corner of my new (to me) backyard!